Gardening is the most relaxing time of the day when you can savor the smells and flavors of fauna, pick off fresh fruits or vegetables, water the plants and feel close to the Mother Nature. And a lot many of you might feel that gardening is the time to keep your mobile phones at bay but, to your surprise, smartphones can be of great help with proper organization and maintenance of your gardens. 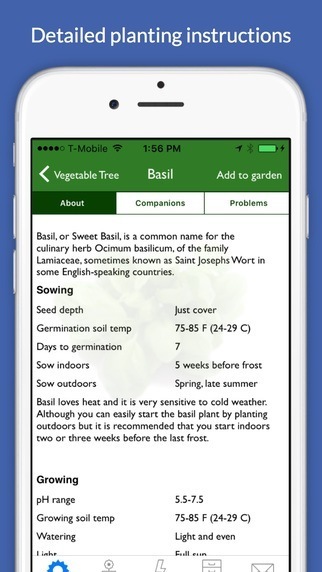 This article lists some of the most useful gardening apps that have an edge over others. If you want to plant vegetables or have already done so, then iVeggieGarden is an app that is worth paying $9.99 for. It gives you information about different types of veggie plants as well as how to care for them in the best way possible. 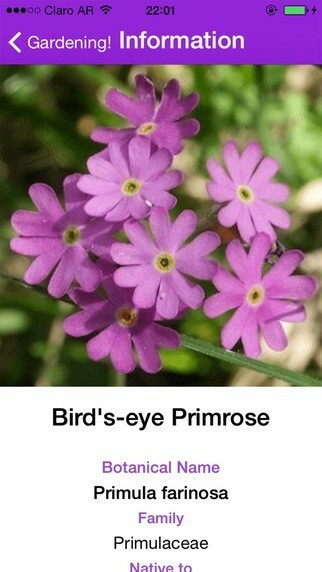 You can take pictures, add a shopping list and track how all of your gardens are doing. This app will make sure you are growing your vegetables safely and efficiently, which can result in having more veggies at the end of the season! The Essential Garden Guide helps you learn how to garden and shares some cool secrets to get yourself a great looking backyard. This information contained in this app is the result contributions from renowned agricultural institutions. You’ll find information about soil preparation, watering, garden care and pest and disease identification and control. You can also browse through a wide collection of garden fruits and vegetables from Asparagus to Watermelons and discover ways to improve and increase your harvest. 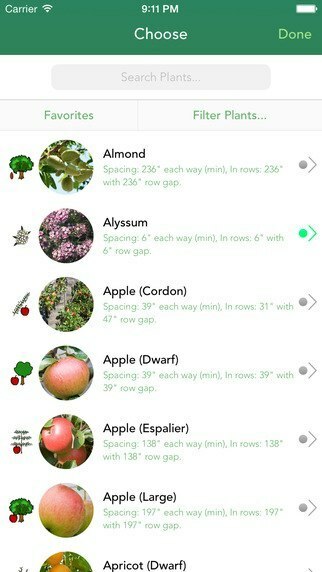 Garden Plan Pro is a unique app that lays out your garden so it’s easy to see where different plants and flowers are being placed. You can lay out different growing areas by scale based on what you want your garden to look like or what it already looks like. It also has a lot of great information about rotating crops and how to care for them better. It’s going to cost you $9.99, but it’s worth it if you need some help creating a garden that is efficient and that works well. 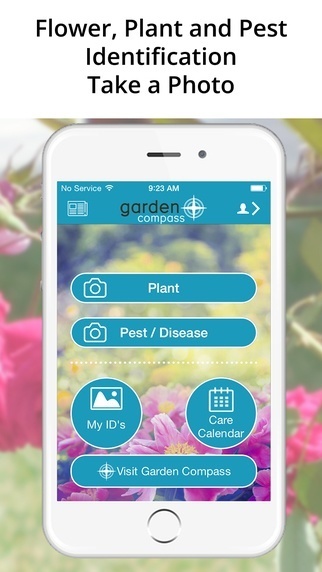 Garden Compass is your key to accessing the world’s best horticultural experts who will give you personalized feedback on all your gardening and pest problems. You’ll find tips and articles to keep your garden lush and healthy and a cool built-in garden calendar that will keep your garden on track. The app is free to download but a premium membership will ensure you get the most out of the app. This is a rich resource of information on a variety of plants, their botanical name, family, soil and climate conditions needed to grow, and so on. There are plenty of photos to refer to, search and sort options available to quickly find the information you need on cultivating a variety of crops.If you are planning to build a garden, make sure you get all the information you need before getting started with this free reference guide. 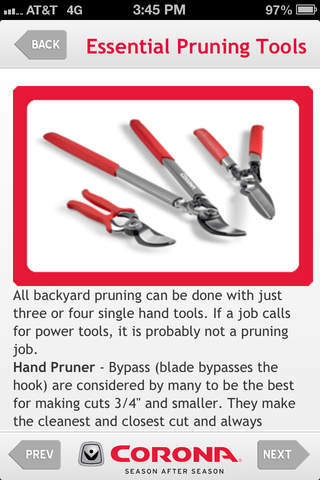 In order to plant your garden, you need some useful tools. This app provides with the extensive list of tools and stores that sell them. Moreover, it also provides with the information of the nearest stores that can provide you with such tools, seeds, etc. You need to filter the search by filling down your area. For e.g. a search for Lawn mower batteries Lilydale would provide you with the list of all the stores in Lilydale and likewise. With technological advancements, we now have wonderful tools like these apps that make gardening easy and a fun activity. Gone are the days when you had a tough time looking for various techniques to maintain your home garden. These apps are just the perfect tool to help you lure visitors to your home garden.